Therapies for Kids is changing the way children with disabilities learn and grow with its integrated range of intensive programs and innovative equipment. The transdisciplinary Allied Health practice specialises in Physiotherapy, Speech Pathology and Occupational Therapy. Therapies for Kids also provides programs specifically tailored for children with complex disabilities such as Neurological disorders (e.g. Cerebral Palsy,) spinal cord injury, Autism Spectrum Disorders (including Asperger's Syndrome), Down Syndrome, brain injury and complex pain syndromes. Debbie is also one of the Prime Movers behind the recent launch of the GoBabyGo initiative for children with mobility issues. Question: What is Therapies for Kids? Debbie Evans: Therapies for Kids is Sydney's foremost childrens Allied Health therapy centre. Therapies for Kids provides Paediatric Physiotherapy, Occupational Therapy, Speech Pathology and Podiatry. Therapies for Kids is renowned for using the most up to date therapy practices alongside innovative technologies. Therapies for Kids treats children of all abilities but has a reputation as being Australia's 'go to" private therapy practice for children with disabilities. Question: Can you talk us through why Therapies for Kids was developed? Debbie Evans: Therapies for Kids as a fully integrated transdisciplinary therapy practice was founded out of an ambition that Clinical Director, Debbie Evans, had to provide an all inclusive therapy service that combined the key facets of Function, Fun Family Friends & Future for children of all abilities. Question: What's involved in Therapies for Kids programs? 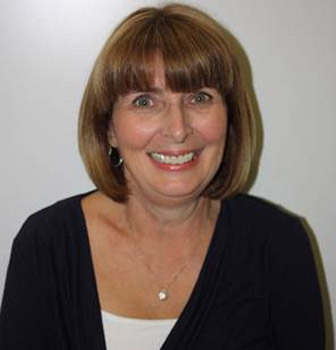 Debbie Evans: A Therapies for Kids program is individualized and written with the child's therapist and/or in conjunction with other therapists where multiple therapists are being consulted. The program is developed following an initial assessment of a child's strengths and it identifies areas needing improvement. A play based therapy program is developed and intervention is delivered as required in the Therakids gym or in individual rooms for Occupational Therapy or Speech Pathology. At each session, a home program is developed for the family to carry out at home based on the goals set and activities encountered in the therapy session. Question: What's a typical day like for you, at Therapies for Kids? Debbie Evans: All days at Therapies for Kids are busy. Therapies for Kids has a complement of 25 staff (full and part-time). With an average of 14 working on any 1 day and then add 8 – 10 children and their families and the clinic is full of fun laughter and play. The days begin at 8.00am and finish at 6.00pm and the Therakids gym and the waiting area is always full. All days at Therapies for Kids incorporate stickers, chocolate frogs and bubbles as rewards for participating in what might appear like play but for the child is hard work. Question: Can you share with us some of the trends in children's therapies? Debbie Evans: At Therapies for Kids the trends in therapy are based on the ICF model of: Fun, Function, Fitness, Family, Friends & Future. The current recognition of neuroplasticity across a lifespan and the concurrent knowledge that intensity is paramount for optimal gains is changing how we approach and deliver therapy. Inclusion is also a 'buzz word" but can be difficult to deliver. At Therapies for Kids we are committed to providing an environment to allow this. The days at Therapies for Kids are always directed towards mobility, communication, socialization and function. These are facets that are integrated across all therapies and uses all the available resources i.e. play equipment, sensory activities, games etc. Question: What signs should parents look out for in regards to issues with infant motor skills? Debbie Evans: The developing infant learns independence through mobility. Every movement is an act of independence and signals our identity to the world. Parents need to ensure their infant gets 2 hours a day on their tummy (in short bursts). This can be integrated into carrying, lying on adults or floor time. Question: How are speech disorders treated at Therapies for Kids? These disorders are commonly treated on a 1 on 1 basis within a therapy room, but increasingly, some disorders are treated in a more common environment when social interaction is an important facet. Question: What are the common signs of speech disorders in young children? The above disorders are treated according to the individuals needs. These can be on a 1 on 1 basis or as part of a group (e.g. School readiness, fussy eaters, social skills). The treatment may be delivered in our clinic facilities, in the child's home environment, or at preschool or school. The treatment can be delivered in intensive blocks or over a period of time. Depending on requirements, the treatment can include splinting and taping, sensory based intervention and we can assist with equipment prescription and where necessary home modification prescription. Question: What is the GoBabyGo initiative? Debbie Evans: GoBabyGo started as an initiative by paediatric researcher Cole Galloway, Professor Physical Therapy at the University of Delaware, USA. He studied mobility, and immobility, and how that impacts a child's ability to learn and socialise with peers, and what they found was a striking and depressing difference. So he launched GoBabyGo in 2006 to ensure children who had problems with mobility but were too young for an electric wheelchair could learn about exploring and independence. He worked out an affordable way to modify off-the-shelf toy cars so that children who can't crawl or walk normally could become part of the action at home, at kindergarten or in playgrounds. This is a program that works for very young children - from the age at which they'd normally start crawling around the house – from six months old and up. 'Fun is key here"it unlocks brain development and exploratory drive for the child, and ignites active, engaged play from adults and peers," Galloway says. Because of his goal to spread this idea around the world fast and furiously, heʼs made it available to parents and volunteers around the world who also believe in the importance of making young children mobile; to others that realise the ability to move independently is a vital part of learning spatial awareness and injecting normalcy to socialisation with siblings, peers and authority figures – like parents and teachers. Question: How can Australians support the GoBabyGo initiative? Debbie Evans: Go Baby Go Australia is a Charitable Trust consisting of volunteers who donate adapted motorized toy cars to children that are limited in their independent mobility due to various permanent disabilities. A small team with experience working with children with mobility impairments establishes each child's specific requirements alongside their doctors, specialists and parents. The children may need to support to sit upright, adaptations to the steering wheel, or a simple switch to take the place of the normal accelerator pedal. A safety kill switch is also fitted. These modifications are custom made to suite each child. Toy car modifications and presentations typically occur in small groups with other children who are also receiving cars. We call these 'Build Days". These days are filled with laughter, tears of joy and a sense of belonging to a larger community. Friends are made and stories are shared. We need volunteers for Build Days. 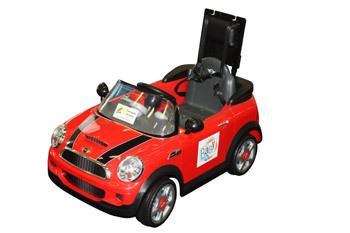 As we are also are funded solely by donation, we need donations to get adapted cars to more children.